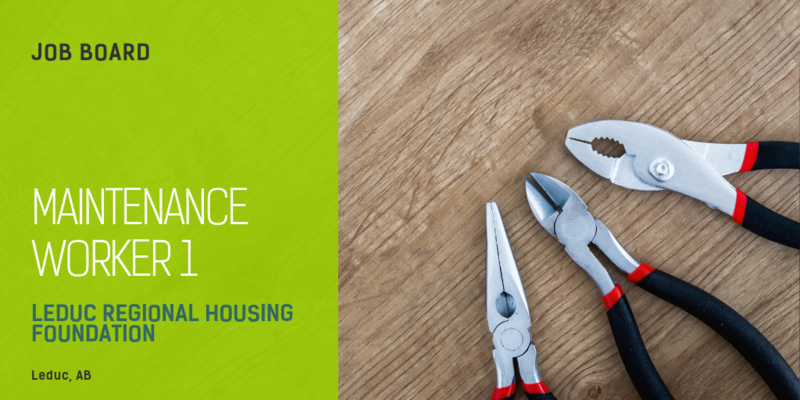 The Leduc Regional Housing Foundation is seeking a Maintenance Worker I in Leduc, AB. Reporting to the Site & Asset Manager, the Maintenance Worker I will complete routine building maintenance duties, including minor electrical, plumbing, heating and carpentry and maintains the buildings grounds to a high standard ensuing that quality service is provided to the residents and tenants within the Leduc Region. Full-time, permanent position with salary at $20.16 – $24.51 per hour.